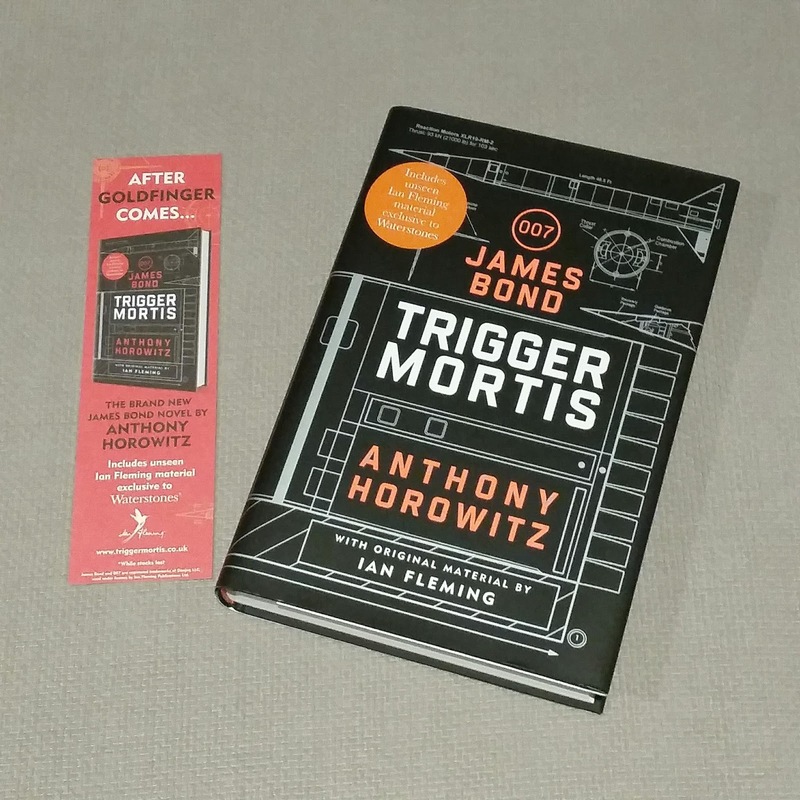 I received another copy of Anthony Horowitz's "Trigger Mortis" in the mail last week. This first edition hardback was excusively released by the UK book store chain Waterstones and has two features which distinguishes it from the standard first edition of the same book: 1) The dust jacket is black instead of silver, and 2) there are extra pages at the back to include a reproduced draft TV treatment by Ian Fleming titled "Murder On Wheels". 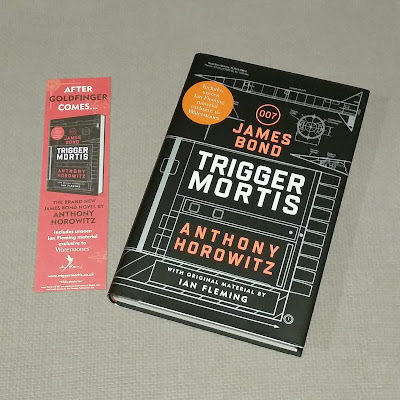 Some of this original material by Fleming was woven into the "Trigger Mortis" story by Horowitz. This is now the third hardback copy of this book in my collection. The other two are the Goldsboro Edition (which I have written about previously) and the standard hardback. 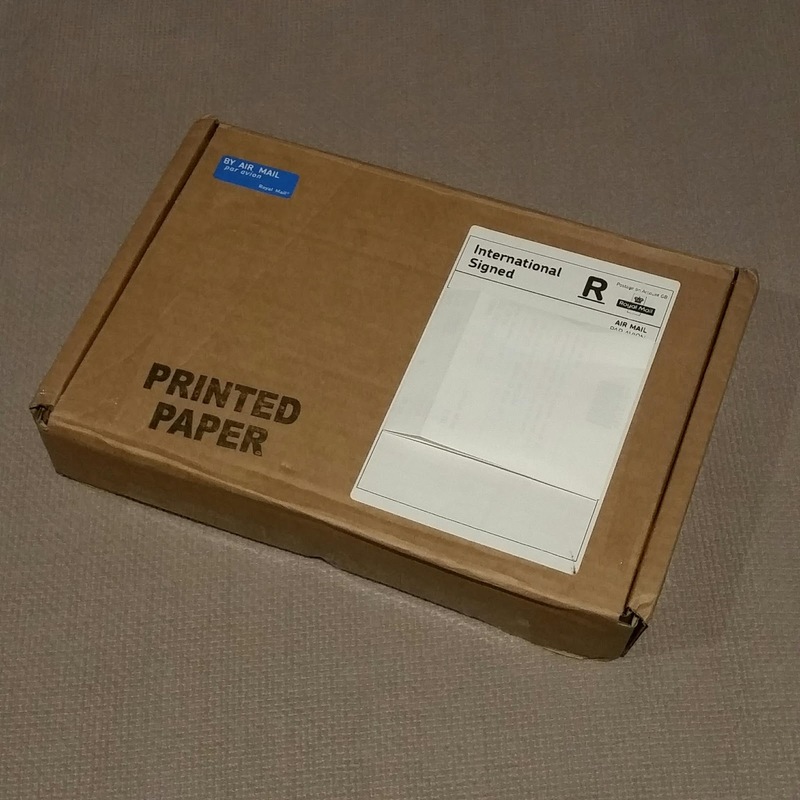 All of these are UK printings. 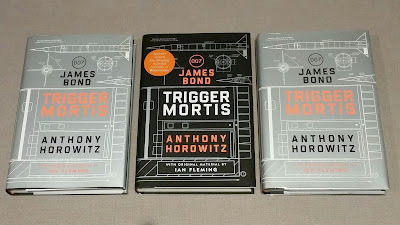 I did happen to see several US versions available for sale at Singapore Airport recently but all the dust jackets were damaged around the spine so I decided not to buy one. Finally, here's the three hard backs together.